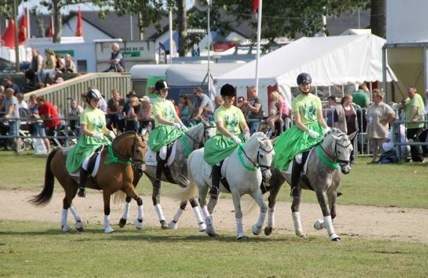 DENMARK: The Danish Connemara pony Society will this year celebrate its 45th Anniversary. 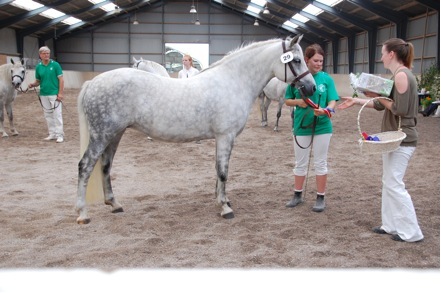 An inspection of ponies and a Connemara show will be held on 31/7/09 at Bornholm and on 1st and 2nd August an inspection and show will be held on Zealand. 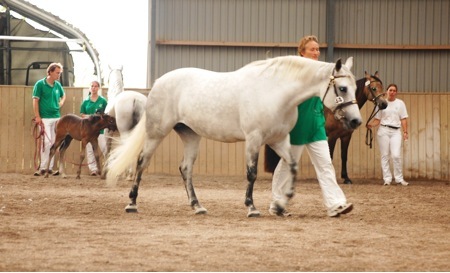 Last year the Danish Stallion Ravnsholt Diablo (Laerkens Callaghan) was exported to Ireland. In return, Glencarrig Fionn (Castlestrange Fionn) and Lissroe Hurricane ( Gun Smoke) became residents in Denmark. 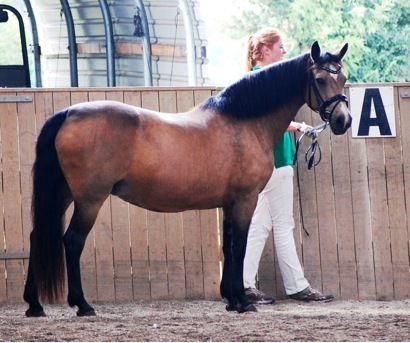 The Danish Society’s AGM will be held on 14th March on Zealand and in April and June Agricultural shows for young ponies of all breeds will be held throughout Denmark. AUSTRALIA: A part bred Connemara mare Garnet Kailah (Glenormiston Thady – warm blood mare) has really let the cat amongst the pigeons in the harness world down here. Kailah began her career as a harness pony at Easter 2008. She has been performing extremely well. Her owner/driver David Rozynski recently took her to her first “real” harness show in Stanthorpe to see how she performed, both in serious competition and with the pressure of lots of vehicles, people everywhere, loudspeakers and so on. David’s first impression was “what the hell am I doing here?” The first competitors he saw was the Australian champion harness driver and owner, Vince Corvi, along with his Australian winning Hackneys and the gleaming Viceroys that they squire around the arenas. Vince is, amongst other things, the EFA National Show driving coach. After the initial shock he reminded himself why he came and began the work of preparing Kailah. The upshot was that David and Kailah took out the Champion harness horse/pony, beating Mr. Corvi and another top line combination. As David stated – “Go the Connies!” Kailah and David are now preparing for the 2009 Australian combined driving championships to be held at “Witwood” Canberra this Easter. The first day of the competition will be the anniversary of the mare being put to harness. Connemaras can do anything – and better than most! PR officer – Ruth Rogers. Ruth will provide the ICCPS with information of show results, Connemara information and generally keep us informed of events and happening within the Midland group’s domain. Ruth is working on trying to obtain DVD or video access for the ICCPS on the video that I showed in Clifden many years ago entitled “The Irish Pony – Return of a Native” . Ruth is also, as you know, Editor of “An Capaillin”. Incidentally, I have seen the copy of the new “An Capaillin”, It is a beauty, probably the best yet and something for everyone. Try to get your copy as soon as they are released, you will not be disappointed. Well, first attempt at a new format. One photo per mail so should be easier to handle. Hope you enjoy. Say if you do not! A big thank you to John Tennant who has again done a great job in compiling the newsletter for us. Time goes fast, it feels it was only a short while ago when we met in Clifden and now it is only a few weeks to Christmas! Hopefully you are all able to relax and enjoy the company of your families, friends and ponies. May you also have a moment to think about the ICCPS? Now! I feel a bit like an old gramophone with a stuck needle. You may remember that I asked earlier for the societies to have a look at the ICCPS Rules for registration as these are in need of review. The Executive Board has a big task to go through the rules during winter and bring the revised version to the next AGM. Have a look at the rules please and let the Executive Board members know your thoughts and ideas – at least! I haven’t got any messages concerning the rules so far! Does this mean that there isn’t anything needing attention? I doubt that! DO IT NOW so the Executive Board has a chance to do its job on time. Only if we know what is needed can we propose the changes and bring the document to the AGM in August. Another option is to spend endless and often fruitless hours at meetings going through the rules sentence by sentence – and then find the result is not what members wanted. Soon it is time to begin to make plans for the trip to Ireland in March. Watch out for the schedule of the CPBS Spring festival, IT IS SUPPOSED TO BE AVAILABLE SOON!! I’m sure it is going to be a huge success again, despite the difficult financial situation around the world. Whilst I am writing this there is a real blizzard outside. The ponies spent their day out as usual, but they were willing to come into stables a bit earlier in the evening than normal. The snow ploughs have been busy but the last kilometre to the stable was totally blocked – the wind had blown the snow to big dunes across the road. Right now it is not very tempting to go outside. But when the skies clear this will be a real winter wonderland! I like proper winter and snow and our seasonal changes. The ponies prefer the snow to the mud too! On behalf of the Executive Board of the ICCPS I wish each and every member of the International groups of Connemara Pony lovers a peaceful and joyous Christmas and a prosperous year 2009 for you and your ponies. Winter is now obviously firmly entrenched in the Northern hemisphere and ponies snug in their winter quarters, there appears to be little to report as to pony activities. Down South, there are not many of us, (Australia and New Zealand) and very little is happening as the summer show season has barely begun with little or not material coming to hand as to show results etc. This is the reason that I asked for material to begin our Website promotion of the performance qualities of both Stallions and mares from each Society. I sincerely hope that you can get aboard with this request so that our concept of a web site register of a performance can get off the ground. GERMANY (Perhaps a bit of Australia too!) This item was sent to me from Germany and so I absolve myself from any degree of favouritism! A mail from Elke Bader has the headline “Australian Connemara pony wins performance contest 2008 in Germany” the note continues- “Glenormiston Annashee, a 3 year old Australian bred Connemara mare, now resident in Germany has stunned the German Equine Community with her brilliant performance in the 2 week performance contest for Pony mares in Baden-Wurttemburg. Scoring was done in accordance with the rules of the Official LPO competition regulations. “Annashee” is bred in the purple. She is by Castle Baron, a full brother to Castle Comet, Castle Countess and Castle Urchin. 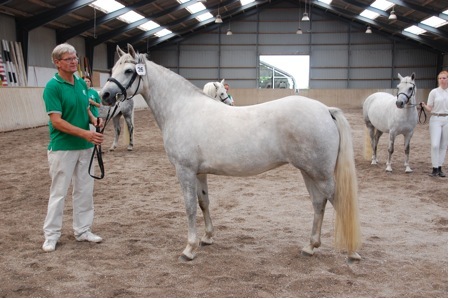 She is from the mare Glenormiston Abbeylara (Domo Cavallo Praize – Washlands Rebecca). The competition is in dressage, loose jumping, rideability and Interieur. Annashee’s score in rideability was an incredible score of 9/10. 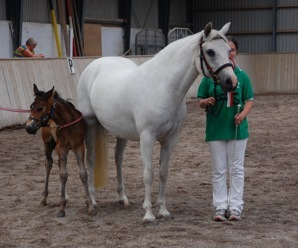 Elke goes on to say that this performance confirms her conviction that there doesn’t necessarily exist a discrepancy between successful breeding show ponies and ponies doing sports as it is already proven by Annishee’s family – the Castle ponies. (One must also not forget that the Australian Stud “Glenormiston” has a deep background of performance orientated ponies and Domo Cavallo Praize is a legend in Australia). 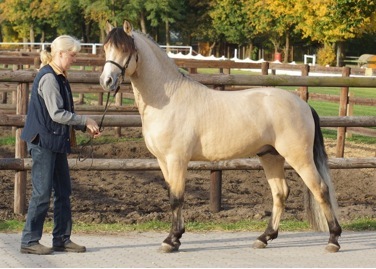 It may not be fully known that there are two societies in Germany that support the Connemara pony Breed independent from the breeding societies. The German Connemara Pony Association (CPIG) as well as the German Connemara Pony Society (CPV) had some changes inside their structures and both have new home pages. 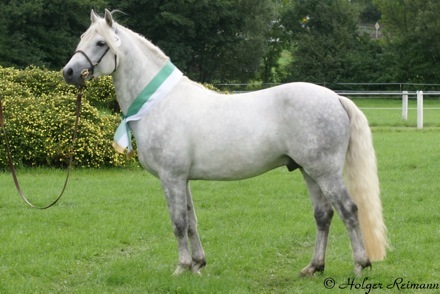 It would be of value to all Connemara breeders and owners to check the web sites www.connemara-pony-iq.eu and www.connemara-pony-de for more detailed information. CANADA This report from Canada is an extension of a brief report in the last newsletter, thanks to Bridget Wingate. “Connemaras did well in the Extravaganza show in British Columbia” Connemara ponies competed against the much larger Irish Draughts in the final class, the Gamblers Choice Jumping event. This was a star event at the show with the jumps at 4 feet. Each jump had a point value with riders having to jump as many as could be against the clock, including the Jeopardy fence that consisted of two vertical rails with a point score of 200 points. The ponies had an advantage as they could turn faster and two Connemaras made full use of this fact. Hillside Sassafrass and Bien Mallin’s Rory cleared all fences with Rory taking first place and Sassafrass second, leaving the Irish Draught contingent well behind. “Rory” (Landgate’s Holy Smoke – Bar S Heather) is a 10 year old, 13.2hh Registered and Inspected Stallion. He has won countless Jumping Championships to 3ft 3 inches. 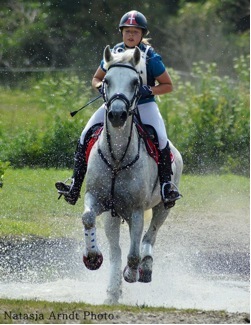 He has performed well in Eventing and won his first training Division this fall in British Columbia. Rory was also trained to Harness especially to help the Team Connemara in the Battle of the Breeds. He has anchored the “Canadian Team Connemara” group in all five divisions of Driving, Dressage, Barrel Racing, Jumping and Trail. In 2007 he won Canada’s first Cross Country driving trek race with his owner and driver Melanie White. He happily combines a performance career with stud duties and is passing his exceptional temperament and work ethics onto his progeny. Truly a wonderful Pony showing the true Connemara Traits. Another very successful Stallion in British Columbia is Elphin Cronan (Maplehurst Michael MacDaire – SP Mils Braeban). Whilst Cronan himself has not had a competitive career, his pure bred and part bred offspring are making their marks In the Eventing scene. Irish, a Th/Connemara cross began his eventing career at prelim. Level and has won twice and been placed twice, before moving to Intermediate level, where he was again placed second at the first event. Two young purebreds KS Priceless and Coolmore. Priceless have been placed first and second at all his training level events and Coolmore with his 13 yr old rider won pony Club jumping and Hunting Champion at the same show and was placed second at his first Horse trials. “Simply Irresistible”, a three quarter Connemara mare, has been placed consistently in junior levels and has gone on to be placed in a 24 mile endurance ride. 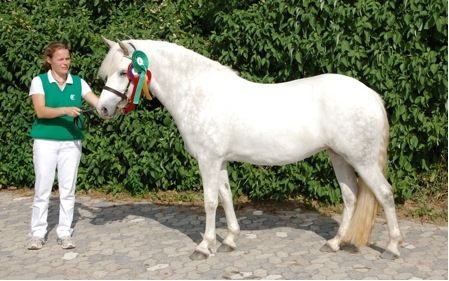 From the Danish Ponies that have competed internationally – the top award winner in Denmark is the BEC Gelding Enghojs Quincy Blue (Baunely’s Dipper). Quincy competes at International level and he was placed 4th in the CSIP in Norway in February 2008. Other successful showjumpers are the Irish bred mare Moneyveen Girl (Smokey Duncan) and French Licensed Stallion Ice and Fire D’albran (Dexter Leam Pondi). 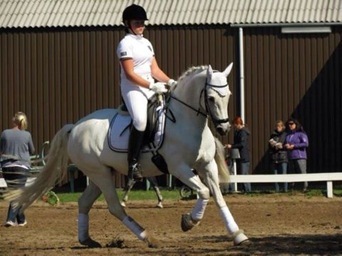 The 19 year old gelding Bogegaardens Calibra (Earl of Doon) participated in the European Championships in Eventing for Denmark. Calibra won the Danish Championship in cross-country jumping in 2001 and 2006. 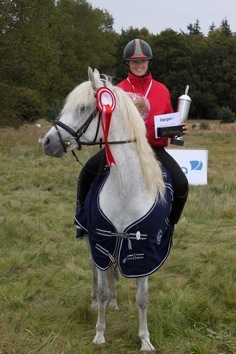 GREAT BRITAIN The British Connemara pony Society performance award scheme results are to hand. All top ten award winners in the Pure bred have scores varying from 11380 to 2880 points. Wonderful results. One interesting fact arising from the score sheets (8 pages in all) is the fantastic performance of the stallion “Hayselden Bacchus”. Two of his progeny feature in the first ten on the score sheet and his progeny feature 10 times in the 48 placing listed. If one ventures further into the awards, Bacchus, through his progeny, Hayselden Xenia, Orion, Artemis, and Xanthe received varying trophies. Still further, Hayselden Stud, the home of Bacchus, owned by the Hon. 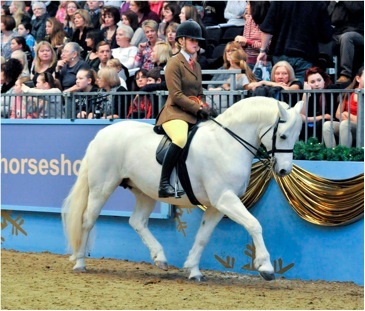 A. Harries and Mrs. P.S Harrison was awarded the SCARLETTS trophy as breeders of most ponies gaining points. 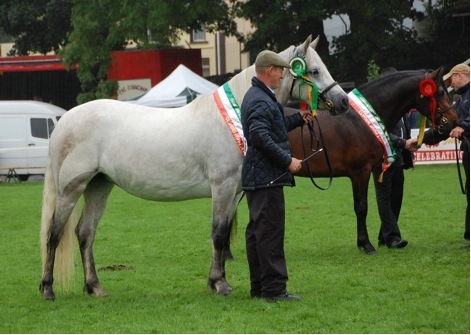 What a fantastic contribution to the Connemara pony world by the Stud and the Stallion Hayselden Bacchus. The proprietors of Hayselden Stud must be over the moon! 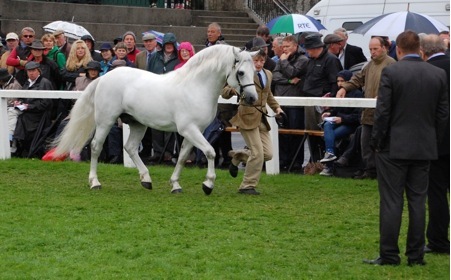 A wander through the full report brings to light many well known Stallions and Ponies, all of whom are showing the world just what the Connemara pony can do. Please ask Sarah Hodgkins if you would like a copy of the report. 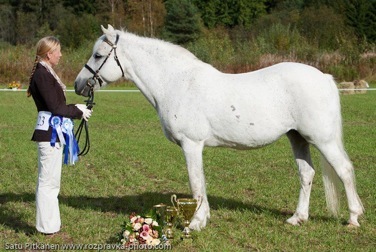 FINLAND The Connemara pony gelding, “Park Benjamin”, has won the indoor showjumping championship for ponies held on 26 November. He was ridden by 14 year old Vera Elopuro. 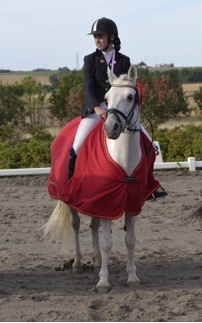 Benjamin was bred in Ireland in 1997 by Sandra Parkinsons and was imported into Finland in March 2006. He is by Ashfield Festy out of Spanish Dance (Meryn Pookhaun) Benjamin is owned in Finland by Emilie de la Chapelle. Benjamin has numerous wins and placings in national level from 110 – 125cms and he was part of the national pony Team competing in the European Championships last summer. “Park Benjamin” can be found from the CPBS Database – he was registered in Ireland with number G.2711. GENERAL The time and effort in making contacts with Equine Magazines around the world has paid off with some excellent reports being printed in both the English “Native Pony” and the “Irish Horse and Pony”. The latter is exceptionally good and mails me before each printing date for information. We have had articles on the formation of the ICCPS and the Australian Society and its association with the Charles Sturt University. The December issue (received 3/12/08) has fully printed an article from Denmark (Lene will remember this article as it went missing both in my computer and from the Publication computer but it found its way eventually). A full report from Austria re the two stallions that won in the first Eventing/Military events and an excellent article from France. As a result of a request for the next issue material, I have sent copy of what was still available but the cupboard is now absolutely bare. 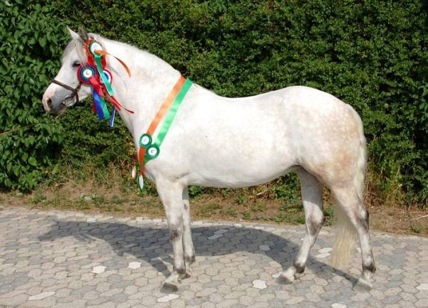 It is vital to the continuation of this promotional program that you, the Societies, continue to send material so that we retain this very important, free promotion of the Connemara pony. The other fact is that there are frequent references to the Connemara pony in Ireland in this publication. With our input the pony worldwide is being reported and recognised. I have received a note from Ruth Rodgers, An Capaillin on two matters. 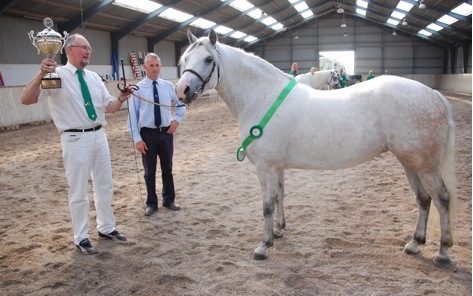 First – A new Connemara pony Breeders group has been formed in Ireland. It is called the MIDLAND CONNEMARA PONY BREEDERS GROUP. The Chair is Eddie Fleming, Vice Chair, John Moran, Secretary Mary Rabbit, Treasurer John Durkin and P>R>O> is Ruth Rodgers. I have asked Ruth to advise as to whom I can make contact with in relation to news items. It is nice to see yet another Connemara group formed to promote our wonderful pony. On your behalf, I wish the new group the best of luck in its work to promote our lovely pony. Time has come and with some considerable disappointment I find that a very few Societies have answered my call for material. To those who have sent articles – a very big thank you. The magazines that I have mentioned are all asking for articles on top performing stallions, Mares and the progeny of these top performers. It is this material that will build our Web site performance Board. PLEASE! Take time and put a few words together. I have nothing for future Magazines, and, if you want the role of Co-ordinator to continue and the promotion of our pony to be foremost, then I can do it only with your help. SO! Please help and send articles! From down under I send you greetings and wishes for a joyful Christmas with family and friends and may the year 2009 be one of happiness and success for you and your ponies. Attached hereto are also a number of cuddly pats for all ponies wherever they may be!